Philips Speech Processing this morning announced brand new dictation and transcription software for Mac operating systems, continuing their tradition of picking God awful names for their products. Dubbed SpeechExec4Mac (!) and to be used in combination with the DPMConnect4 (!) 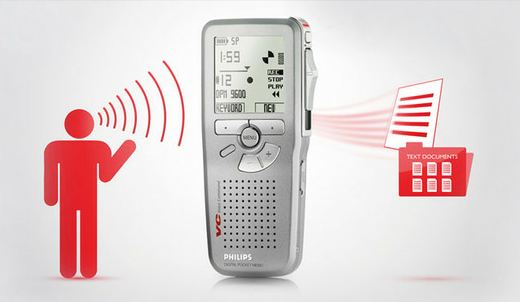 Mac software, the solution enables users of the Philips Digital Pocket Memo (!) to download dictations to their company network and play them back on their Macs. Apple recently announced that it will be porting its own Dictation solution to the upcoming Mountain Lion OS for Mac. Other text-to-speech software providers Philips will be up against include Nuance (which sells software like Dragon Dictate and MacSpeech Scribe), NCH Software and Avatron. According to Philips, SpeechExec4Mac is different because it is the only professional dictation app that supports the DSS Pro file format from all International Voice Association vendors in a Mac environment. It’s also an open system, giving users the freedom to choose their individual workflow settings, although it’s only available in English for now. Finally, SpeechExec4Mac shares the licenses with its Windows-based equivalent so that it integrates into mixed environments and with other Windows-based SpeechExec applications. From mid June 2012, the app will be available on all SpeechExec DVDs which ship with all Digital Pocket Memo packages.